If you wish to examine eye functions, you need a dark room, if you wish to examine hearing loss, you need a quiet room. Studying processes involving gravity really requires a place without gravity. Bone loss in menopausal women is 1% per year, healthy astronauts in space lose bone density at 1% per month, over ten times quicker. Studying bone loss is much quicker in astronauts than on Earth. Stress in space is unprecedented compared to isolated environments on Earth. In early space flight psychological problems were not an issue. Longer term missions involving larger crews create stressful situations. Peter Suedfeld is looking at beneficial stress: many astronauts return to Earth with heightened awareness. Hermann Kuppe on applying space research on surgery: new surgery requires cooling patients to 16 degrees to protect the heart during surgery. Measuring the temperature of these patients is done with a temperature sensor developed for the ISS. 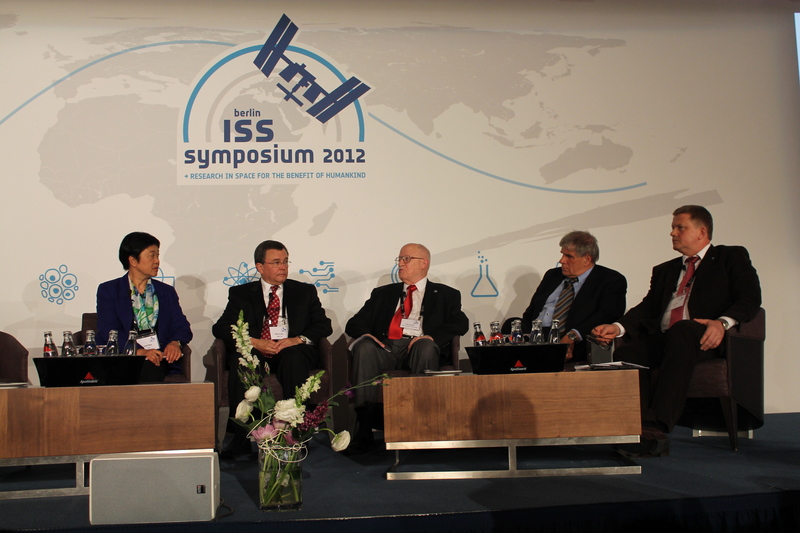 Q: What do you see as challenges in terms of using ISS for education? JAXA: We are trying to include all ages in our education projects, including seniors. International projects such as The international Humans in Space Youth Art Competition improve reach of educational projects even more. Q: Medical ethics question: should we send young people to Mars or older people who have already experienced life? IBMP: Probably older people will be better adapted to a mission to Mars. This entry was posted in Astronauts, Biomedicine, Physics, Science, Speakers, Technology, Video. Bookmark the permalink.